The information, services and products are sold or given to the user with the understanding that neither the author, seller, nor publisher is engaged in rendering any legal, business or financial advice to the purchaser or to the general public. 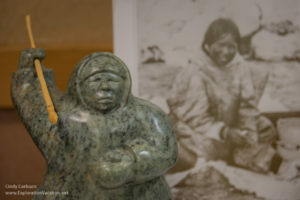 The views and opinions expressed are those of the authors and do not necessarily reflect the official policy or position of the Inuit Art Society. Any content provided by our bloggers or authors are of their opinion, and are not intended to malign any religion, ethnic group, club, organization, company, individual or anyone or anything. 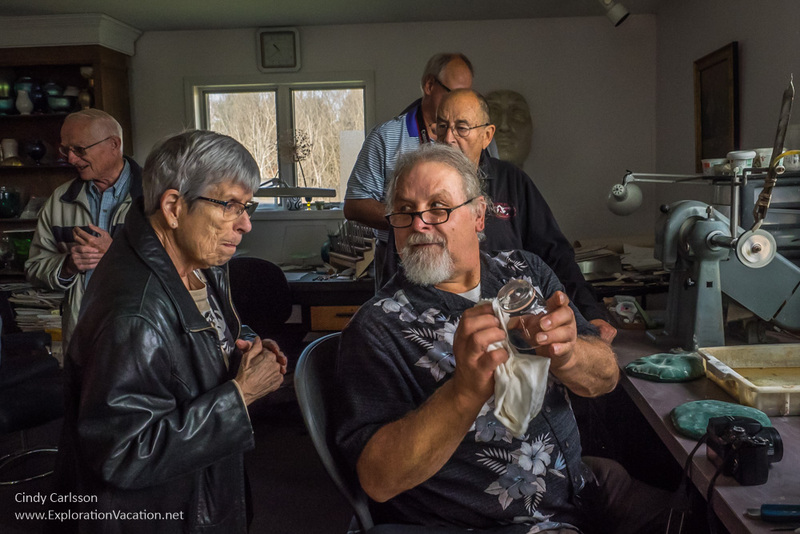 Although we make strong efforts to make sure our information is accurate, the Inuit Art Society cannot guarantee that all the information on this website and or blog is always correct, complete, or up-to-date. TO THE MAXIMUM EXTENT PERMITTED BY LAW, THE PRODUCTS, SERVICES AND INFORMATION ON THIS WEBSITE AND OR BLOG IS PROVIDED “AS IS” AND WITH ALL FAULTS AND THE INUIT ART SOCIETY MAKES NO PROMISES, REPRESENTATIONS, OR WARRANTIES, EITHER EXPRESS, IMPLIED, STATUTORY, OR OTHERWISE, WITH RESPECT TO THE PRODUCTS, SERVICES AND INFORMATION, INCLUDING ITS CONDITION, ITS CONFORMITY TO ANY REPRESENTATION OR DESCRIPTION, OR THE EXISTENCE OF ANY LATENT OR PATENT DEFECTS, AND THE INUIT ART SOCIETY SPECIFICALLY DISCLAIMS ALL IMPLIED (IF ANY) WARRANTIES OF TITLE, MERCHANTABILITY, NONINFRINGEMENT, FITNESS FOR A PARTICULAR PURPOSE, LACK OF VIRUSES, ACCURACY OR COMPLETENESS, QUIET ENJOYMENT, AND QUIET POSSESSION. THE ENTIRE RISK ARISING OUT OF USE OR PERFORMANCE OF THE PRODUCTS, SERVICES AND INFORMATION LIES WITH USER. TO THE MAXIMUM EXTENT PERMITTED BY LAW, IN NO EVENT SHALL THE INUIT ART SOCIETY OR ITS SUPPLIERS BE LIABLE FOR CONSEQUENTIAL, INCIDENTAL, SPECIAL, INDIRECT, OR EXEMPLARY DAMAGES WHATSOEVER ARISING OUT OF OR IN ANY WAY RELATING TO THIS AGREEMENT OR USER’S USE OF OR INABILITY TO USE THE PRODUCTS, SERVICES AND INFORMATION, OR THE PROVISION OR FAILURE TO PROVIDE SUPPORT SERVICES, INCLUDING, BUT NOT LIMITED TO, LOST PROFITS, LOSS OF CONFIDENTIAL OR OTHER INFORMATION, BUSINESS INTERRUPTION, PERSONAL INJURY, LOSS OF PRIVACY, FAILURE TO MEET ANY DUTY (INCLUDING OF GOOD FAITH OR REASONABLE CARE), NEGLIGENCE, COSTS OF PROCUREMENT OF SUBSTITUTE GOODS OR SERVICES, OR ANY OTHER CLAIM FOR PECUNIARY OR OTHER LOSS WHATSOEVER, OR FOR ANY CLAIM OR DEMAND AGAINST USER BY ANY OTHER PARTY, EVEN IF THE INUIT ART SOCIETY HAS BEEN ADVISED OF THE POSSIBILITY OF SUCH DAMAGES. THESE LIMITATIONS SHALL APPLY NOTWITHSTANDING ANY FAILURE OF ESSENTIAL PURPOSE OF ANY LIMITED REMEDY. NOTWITHSTANDING ANY DAMAGES USER MAY INCUR FOR ANY REASON WHATSOEVER (INCLUDING, WITHOUT LIMITATION, ALL DAMAGES REFERENCED ABOVE AND ALL DIRECT OR GENERAL DAMAGES), THE ENTIRE LIABILITY OF THE INUIT ART SOCIETY AND ANY OF ITS SUPPLIERS UNDER ANY PROVISION OF THIS AGREEMENT AND YOUR EXCLUSIVE REMEDY FOR ALL OF THE FOREGOING SHALL BE LIMITED TO THE GREATER OF THE AMOUNT ACTUALLY PAID FOR THE PRODUCTS, SERVICES AND INFORMATION OR U.S. $1. THE FOREGOING LIMITATIONS, EXCLUSIONS, AND DISCLAIMERS SHALL APPLY TO THE MAXIMUM EXTENT PERMITTED BY APPLICABLE LAW, EVEN IF ANY REMEDY FAILS ITS ESSENTIAL PURPOSE. If any provision of this Agreement is declared invalid or unenforceable, the remaining provisions of this Agreement will remain in effect. The Inuit Art Society has the right to modify these terms and conditions at any time.